This Website is Currently Under Construction. 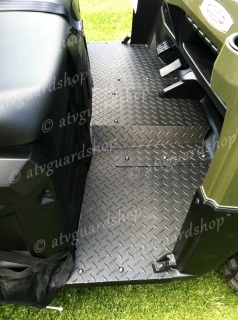 Hold Tight, ATV Guard Shop Will be adding Products Promptly. 2017 Kawasaki Mule. 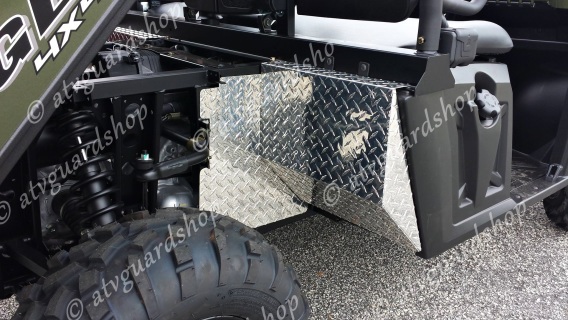 This is the Full Floorboard Kit in Diamond Plate Aluminum. Comes as 3 pieces. Left and Right side and Center Console piece. 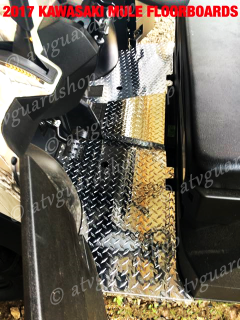 Comes to edge and bends down side to protect edge from cracking. Once installed there are no gaps between pieces. 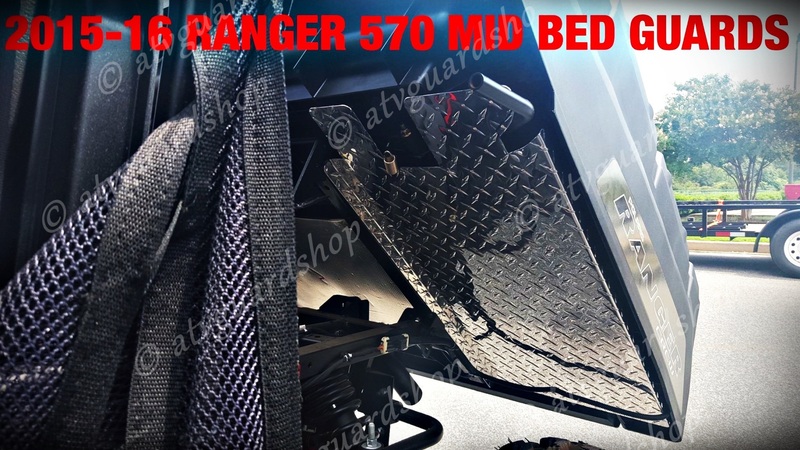 You have a Solid Aluminum Floorboard all the way across. Can use factory bolts for install or I send along some other screws also. 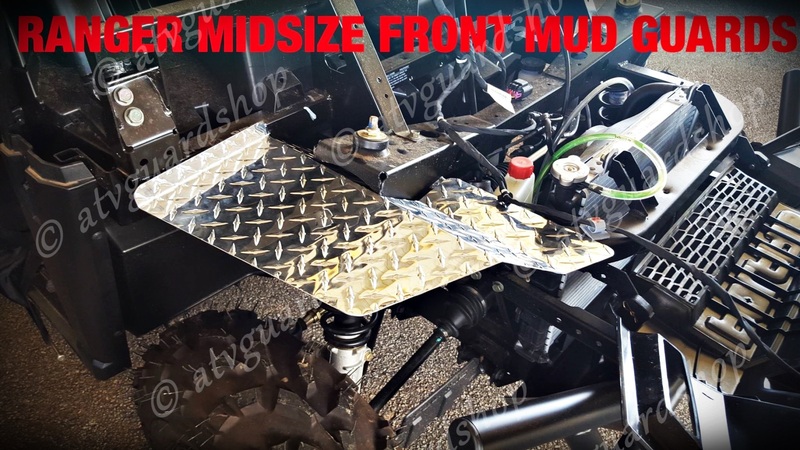 Available for Kawasaki Mule Crew also. Contact anytime with any questions. Thank You. 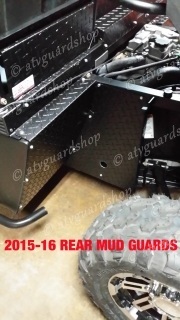 2015--2016 Polaris Ranger 570 Rear Mud Guards. 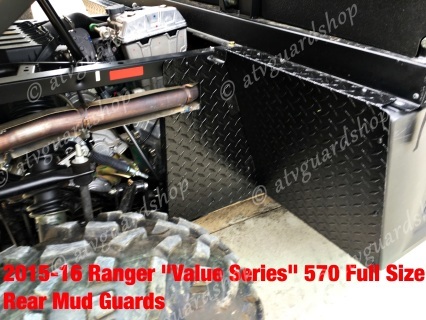 These Mud Guards are for the "Value Series" Full Size 570. These will not fit the Midsize. Feel free to contact anytime with any questions. Thank you. This is the Front Mud Guard for the Midsize Ranger for the 400, 500, possibly the 800 midsize also. This will help stop mud from packing up around the headlight area. 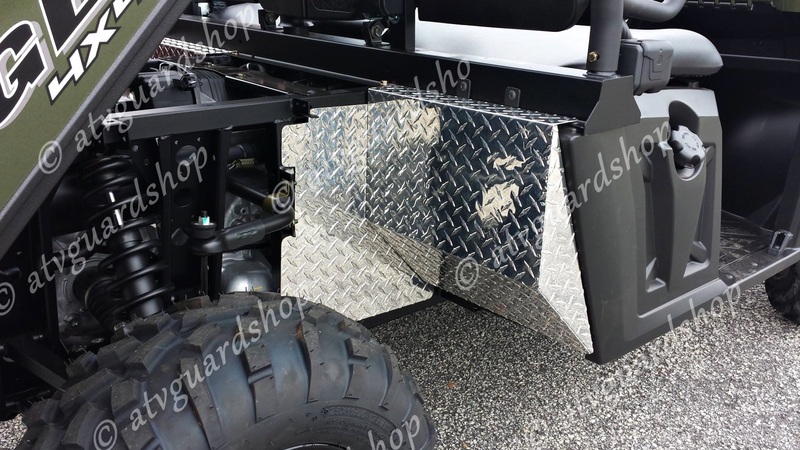 Makes cleaning up your ride a whole lot easier. Contact anytime with any questions. Thank you.